We believe in collaboration. Together with loyal partners you can offer relationships more than just your own knowledge and expertise. We work together with several organizations we share common ground with. That way we make each other stronger. Below are some of our valued partners. We maintain close contact with the Department of Electrical Engineering of the TU/ e. Besides working together with Prof. J.F.G. Cobben, part-time professor at the TU / e, we also collaborate with other employees in this department. During our training sessions, which are held at the TU / e, we make use of the Power Quality Lab to visualize the taught theory in practical demonstrations. We also offer internship opportunities to students of the university. This way we invest in knowledge sharing to achieve the highest possible level of knowledge within our company, for our trainees and in the technical sector. Avans University of Applied Science provides higher education in the Dutch cities of Breda, ‘s-Hertogenbosch and Tilburg. Avans has a vibrant network of students, teachers, lecturers and professionals. Since autumn 2015 HyTEPS has regularly performed guest lectures at the Avans in Breda. We provide training to Electrical Power Quality students by using our knowledge and practical experience. Together we create knowledge and contribute to a sustainable society. FHI is the collective of technology companies that are active in the Dutch market as providers of industrial electronics, industrial automation, laboratory technology and medical technology. The federation serves as a network and focuses, according to its mission, on corporate marketing, personalized services and advocacy for more than seven hundred member companies. We believe in sharing knowledge – one of the main reasons for HyTEPS to become a member of the FHI. In addition, to the knowledge sharing platform, FHI informs us about any current developments in the industry. Shortly after HyTEPS was founded, we joined Techniek Nederland. This is the employers' organization for the installation sector and electrical retailers: two major sectors that are vital for the Dutch economy. Techniek Nederlandrepresents these sectors. Techniek Nederland is involved in a continuous dialogue with governmental institutions and politics, education, the media, trade unions and manufacturers 'and consumers' organizations. NEN accompanies and stimulates the development of norms. Norms are voluntary agreements between involved parties regarding the quality and safety of their products, services and processes. Managing Director Jorlan Peeters is under Techniek Nederland (previously known as UNETO VNI) member of the standards committee 364 008 – 8 NEC System Aspects of electricity. He represents the group of stakeholders ‘executive / applicable income/service organization’. Power Quality, i.e. the quality of the electrical energy, is an important aspect of this norm. The activities of the norm committee are to guide the international standards in global and European standardization committees regarding voltages, currents and frequencies. Because we are a committee member, we are able to closely follow and influence any developments within the field. Rijksdienst voor Ondernemende Nederland supports entrepreneurship in the Netherlands; With subsidies, business partners, knowledge and regulations. In sustainable, agricultural, innovative and international business. RVO in the Netherlands wants to reduce natural gas use and CO2 emissions in the coming years. That is what we call energy transition. An installation with good electrical quality is the best starting point to anticipate the energy transition. HyTEPS, in collaboration with the Rijksdienst voor Ondernemen Nederland, shares its knowledge in order to ensure the quality and efficient use of electrical energy and provide insight into the quality of electrical installations. Dutch Power is the platform that successfully connects parties in the energy sector. These parties combine knowledge and technological innovation. HyTEPS is one of the companies that embodies the objective and related activities that focus on knowledge exchange and the expansion of the network in the energy sector. Together we are looking for solutions to ensure quality, reliability and the continuity of Dutch electricity infrastructure is what Dutch Power represents. MVO is an integral vision on sustainable operations. A company that attempts social responsibility, makes every corporate decision balancing the different social and economic impacts and takes into account stakeholder interests. As a partner of MVO Netherlands, HyTEPS is part of a growing network of more than 2,000 companies and other organizations. We all work together towards a more sustainable corporate landscape. Whether it comes to saving energy, recycling of raw materials or the employability of people with disabilities work, each partner contributes. MVO Netherlands inspires, connects and enables businesses to take that extra step in the field of corporate social responsibility. ‘Risico’s in Beeld’ is an initiative to help you ensure the continuity of your business. The platform offers users information on all risks and related preventive measures and provides the possibility to ask questions to experts. In addition, users can gain current and topical industry-related knowledge. This makes ‘Risico’s in Beeld’ the online risk management platform for corporate customers. HyTEPS is an active partner and expert on this platform. We contribute with our knowledge and experiences in the field of electrical energy. ‘Risico’s in Beeld’ is an initiative of ABN AMRO Insurances. Besides learning from ABN’s knowledge, users can also find the information provided by affiliated partners, such as HyTEPS. InstallatieProfs.nl brings electrical engineering professionals into contact with suppliers. It is a link between innovation and practice. We share information regarding our products, services and trainings at InstallatieProfs.nl. In addition, we share information regarding our knowledge and experience in the field of Power Quality, the quality of voltage and current. It is possible to ask us questions on this platform in which one of our experts will respond. Leonardo ENERGY (LPQI), the international technology community for sustainable energy professionals, aims to accelerate the transition to a more sustainable energy economy through education and advocacy. Leonardo ENERGY provides training and promotes the exchange of expertise about sustainable energy technology, and policy and economics to make the energy transition. Within this community, we exchange ideas with colleagues all around the world. Business Contact Gemert-Bakel (BKG) is an association of entrepreneurs in the municipality of Gemert-Bakel. The association has approximately 185 members, which well shows the importance of interconnectedness. The BKG is an association of and for entrepreneurs. The BKG aims to increase awareness of what is produced nearby and to promote the use of it. HyTEPS is not only interested in developments within our field and with our relations, but also sees the importance of what is happening close to us. That is why we are members of BKG and regularly participate in events organized by BKG. 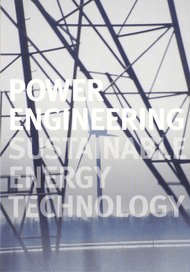 VP Electrical Power Systems is the first consulting firm in Ethiopia which focuses on energy efficiency and solving problems related to the quality of voltage and current (Power Quality). In addition, VP pays much attention to the transfer of knowledge to local professionals through training and education, in order to contribute to the future of the Ethiopian society. With this unique vision and approach, VP Electrical Power Systems delivers knowledge, advice and solutions for improving the stability and efficiency of the power supply companies in Ethiopia and other African countries. The founders of VP Electrical Power Systems – Alula Yohannes, Herwart Gärtner and Arno Stamps – studied Electrical Engineering at the Technical University of Eindhoven. Alula and Arno have completed their internship with great success at HyTEPS and Herwart has completed an internship project with us. We have great confidence in the knowledge and expertise of these driven young men. Alula was born in Ethiopia and saw his country’s great need for expertise in the field of Electrical Engineering. VP Electrical Power Systems was established in collaboration with some investors – Professor J.F.G. Cobben, Jorlan Peeters and ing. Peter Stamps -, who besides contribute financially, also provide support in the form of their knowledge and experience.